In Rome (Batiffol, Brev. 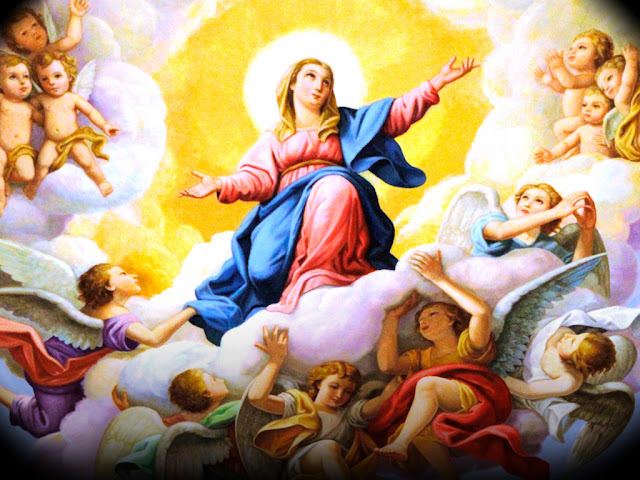 Rom., 134) the oldest and only feast of Our Lady was 1 January, the octave of Christ's birth. It was celebrated first at Santa Maria Maggiore, later at Santa Maria ad Martyres. The other feasts are of Byzantine origin. Duchesne thinks (Origines du culte chr., 262) that before the seventh century no other feast was kept at Rome, and that consequently the feast of the Assumption, found in the sacramentaries of Gelasius and Gregory, is a spurious addition made in the eighth or seventh century. Probst, however (Sacramentarien, 264 sqq. ), brings forth good arguments to prove that the Mass of the Blessed Virgin Mary, found on the 15th of August in the Gelasianum, is genuine, since it does not mention the corporeal assumption of Mary; that, consequently, the feast was celebrated in the church of Santa Maria Maggiore at Rome at least in the sixth century. He proves, furthermore, that the Mass of the Gregorian Sacramentary, such as we have it, is of Gallican origin (since the belief in the bodily assumption of Mary, under the influence of the apocryphal writings, is older in Gaul than in Rome), and that it supplanted the old Gelasian Mass. At the time of Sergius I (700) this feast was one of the principal festivities in Rome; the procession started from the church of St. Hadrian. It was always a double of the first class and a Holy Day of obligation. The octave was added in 847 by Leo IV; in Germany this octave was not observed in several dioceses up to the time of the Reformation. The Church of Milan has not accepted it up to this day (Ordo Ambros., 1906). The octave is privileged in the dioceses of the provinces of Sienna, Fermo, Michoacan, etc.